Alex is already a member of the Ireland Mathematics Olympiad Squad and will again represent his country in the Friday’s Maths Olympiad. Best of luck Alex – we are all behind you. A huge congratulations to Alex Hanley (Transition Year) who has been selected to represent Ireland at the European Union Science Olympiad (EUSO) in April and May. 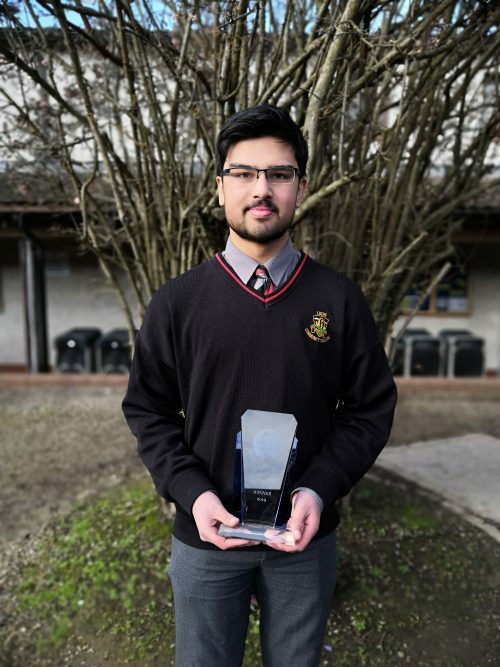 Alex had been selected to compete against other students who had received the highest marks in both their Junior Certificate Maths and Science exams in DCU over the last few months. The final selection rounds of the EUSO 2018 process took place in Dublin City University just last week with Alex successfully chosen from a final group of six students. 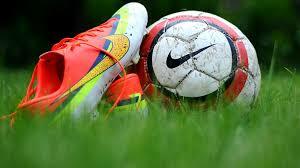 Alex will now join up with the Irish team to compete in Ljubljana, Slovenia from the 28th of April to the 5th of May. 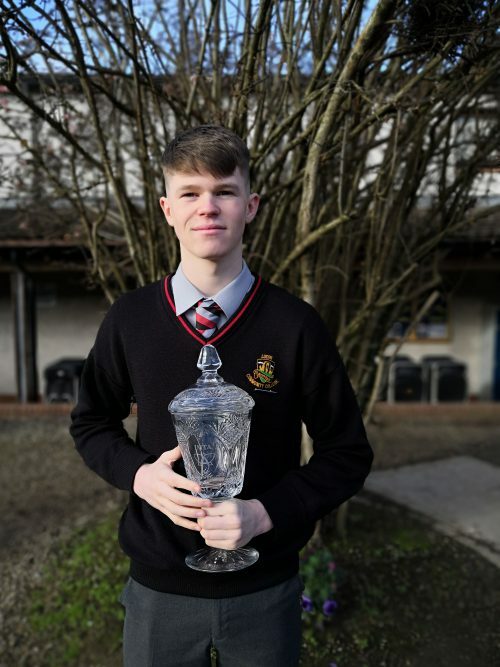 Everyone in Lucan Community College is very proud of Alex and we wish him every success as he continues to train for his international debut in April. 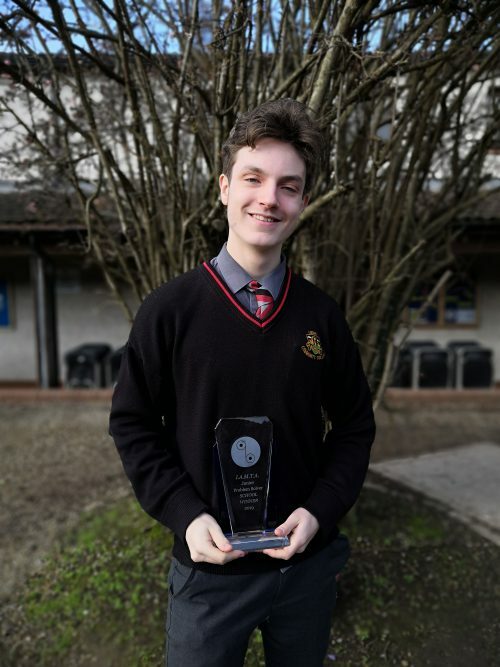 Congratulations to Alex Hanley (Transition Year) who has become a national champion after sensationally winning the gold medal for Physics in the IrEUSO national competition held in DCU on Saturday 11th November. 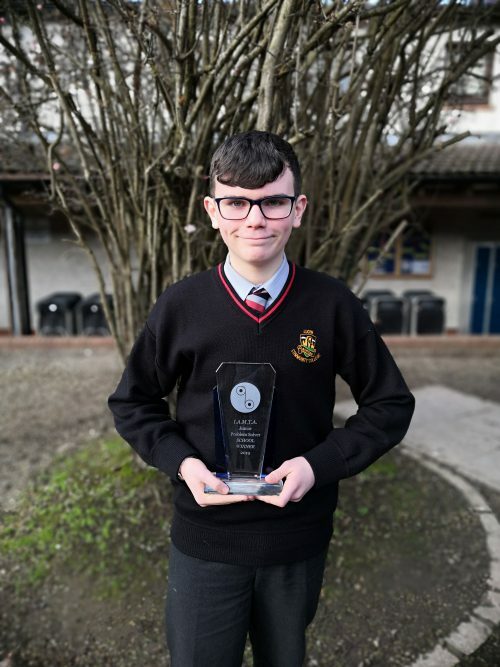 Alex had been selected to compete in the unique competition based on his outstanding Maths and Science Junior Certificate results. 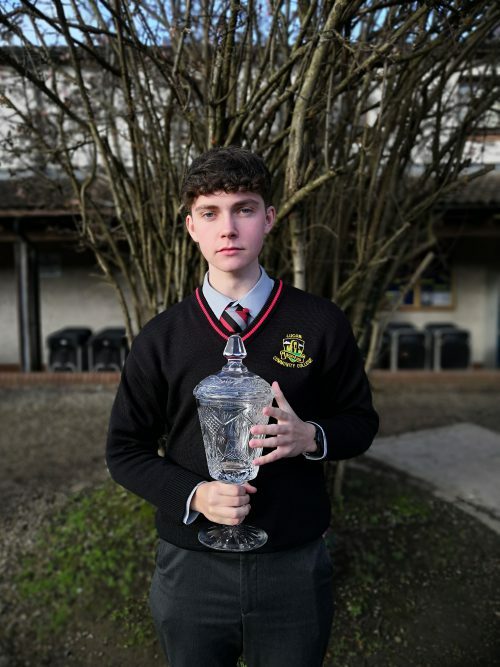 The college also wishes to congratulate Oisín O’Sullivan (5th Year) who was also selected to take part in this prestigious competition based on his own top marks in his Junior Certificate. 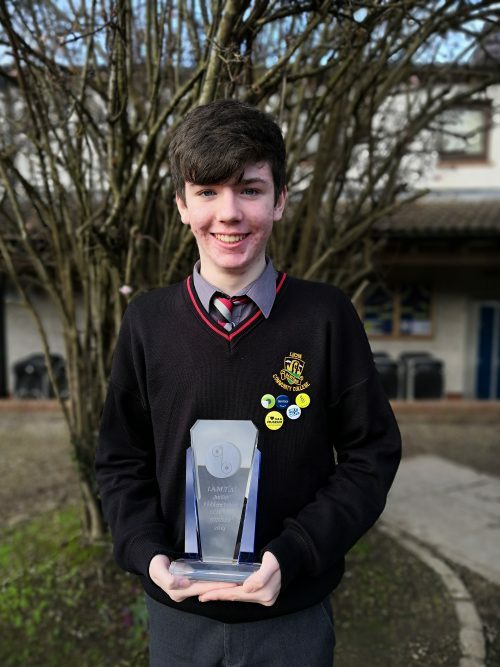 Oisín can be very proud of his efforts as he competed with students from all over the country. 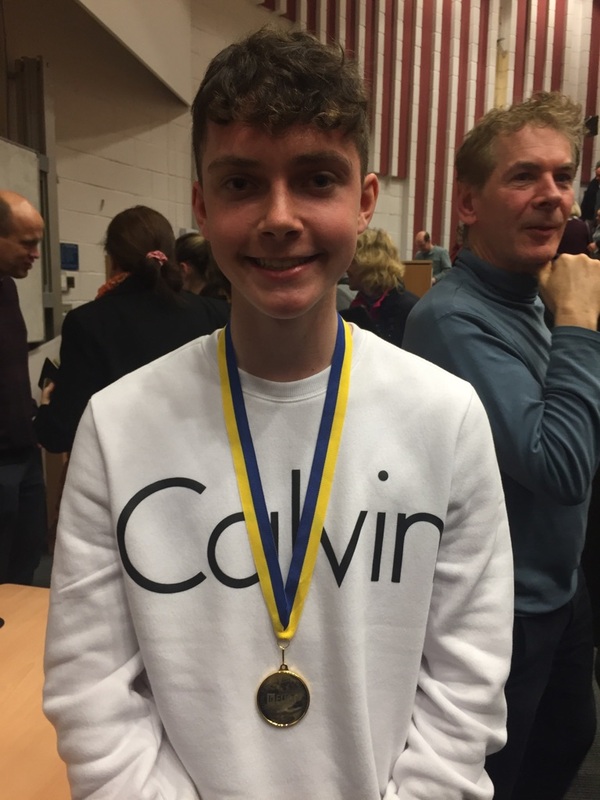 As gold medal champion, Alex will now participate in training with the other eleven medal winners in physics, chemistry and biology to decide the team of six who will go on to represent Ireland in the 2018 International Science Olympiad. The EUSO International Science Olympiad will be held between the 28th of April and the 5th of May in Ljubljana, Slovenia. We wish Alex every success as he now begins his training for what will hopefully be his Ireland debut in Slovenia next April. Lucan Community College were delighted to place in the top 20 schools in the country for our participation in the national Maths Week 2017 celebrations. 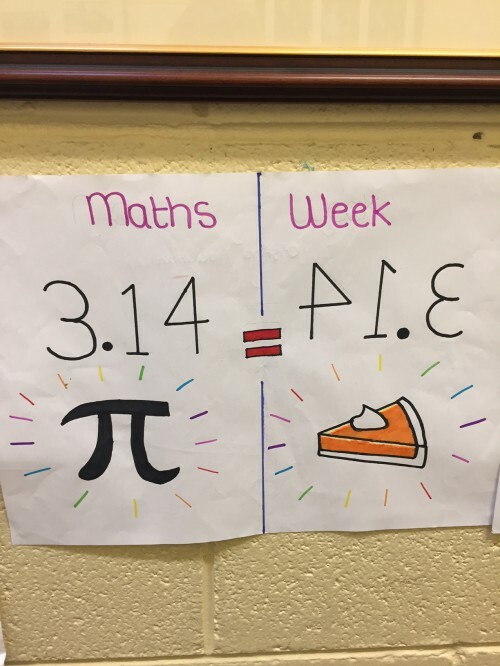 Lucan Community College staff and students brought a new level of enthusiasm and energy to Maths Week 2017 and deservedly achieved this national recognition. 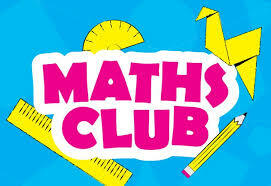 Students eagerly participated in maths poster competitions, daily maths puzzles and the new online Mangahigh Ninja Maths Challenge. 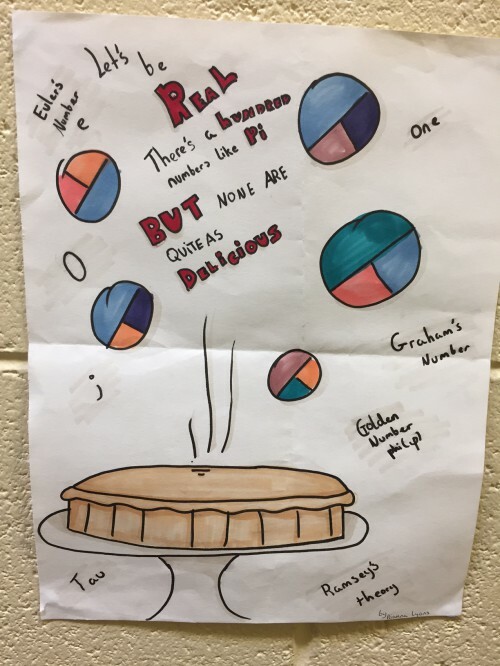 The maths department also raised the fashion stakes by donning a range of colourful mathematical themed t-shirts, providing a range of inspiring maths events and competitions and generally making maths feel a fun but important part of all our lives. 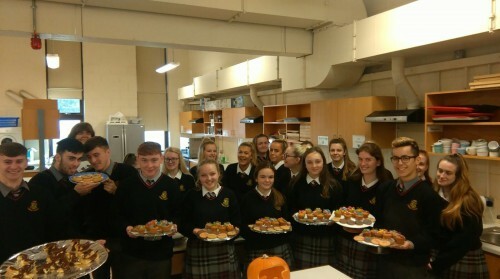 Also contributing to the Maths Week 2017 fun was Ms Ryan, who involved her 2nd year home economics students in the baking and decorating of an imaginative and varied selection of maths themed goodies. This certainly added to the whole school nature of Maths Week as it drew to a close last Friday. 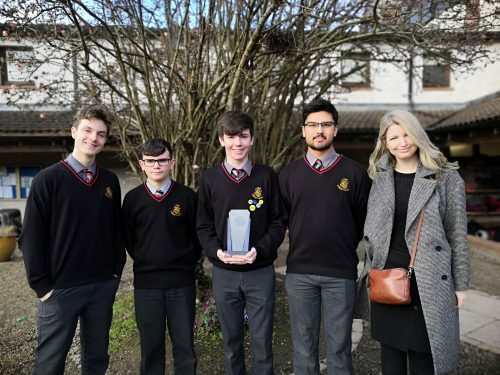 Almost 250,000 students registered for Maths Week Ireland, with Lucan Community College placing 19th in the country for the Manga High Ninja Maths Challenge. This truly was a remarkable achievement. Congratulations to all the students who were so enthusiastic with their involvement. Particular mention goes to the 23 students in first and second year who worked so hard they will receive an actual medal from the Mangahigh Ninja Maths organisers. 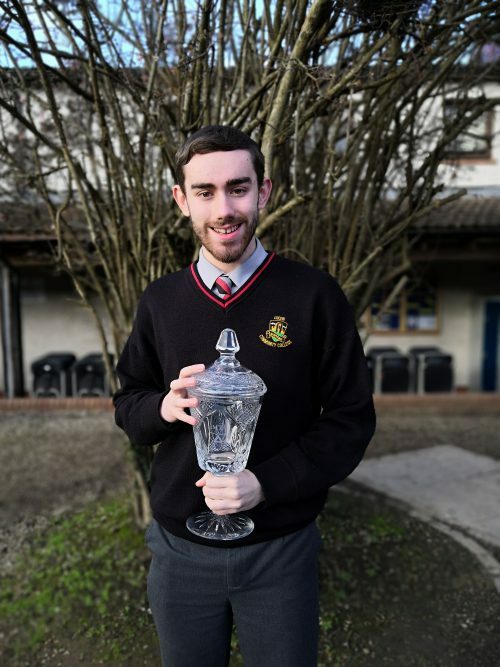 Congratulations to Teighan Fitzgerald from 3rd year class Hume who won the overall maths puzzle competition. 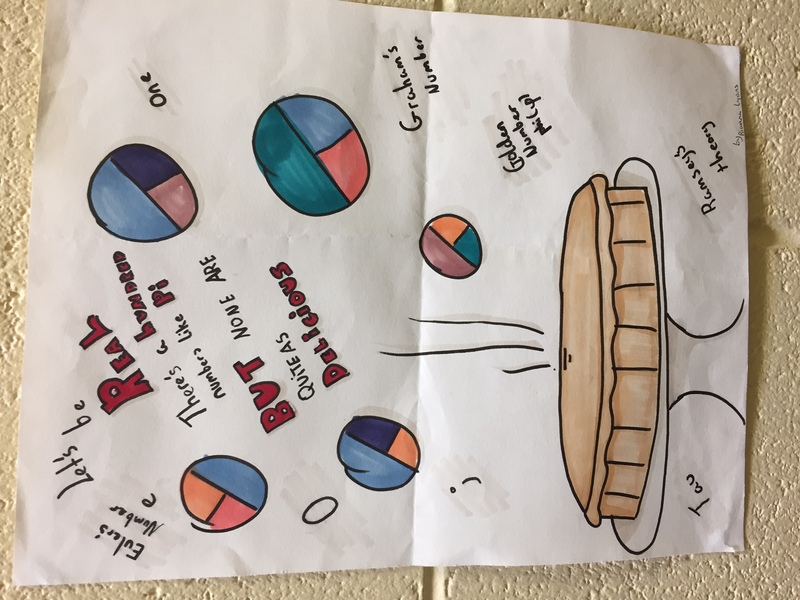 Thank you to Ms Byrne and all the dedicated members of the maths department for their enthusiastic delivery of such a great fun-filled school event. 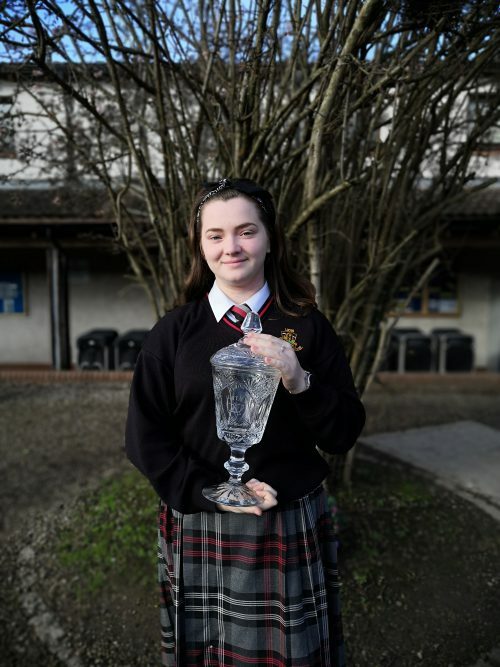 Congratulations to two Lucan Community College students who have been announced as finalists in the IrEUSO national competition based on their outstanding Maths and Science Junior Certificate results. 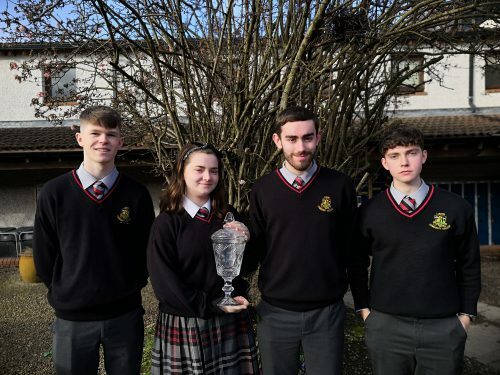 The college congratulates and wishes best of luck to Alex Hanley (Transition Year) and Oisín O’Sullivan (5th Year) as they prepare for this unique and prestigious competition. 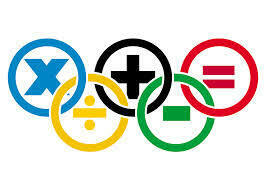 The national finals of the International Science Olympiad are being held in DCU on 11th November. 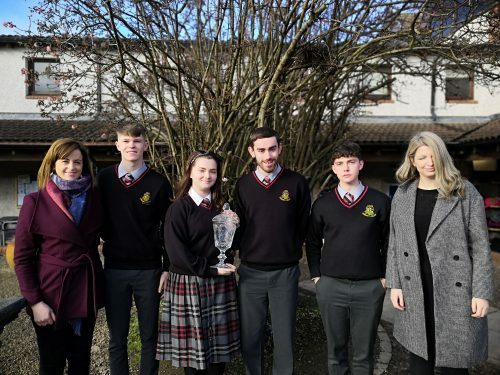 If successful in DCU, the Lucan Community College students could make the Irish team for the 2018 International Science Olympiad. Next year’s EUSO International Science Olympiad will be held between the 28th of April and the 5th of May in Ljubljana, Slovenia. We wish every success to both Alex and Oisín as they attempt to make the grade for Slovenia. 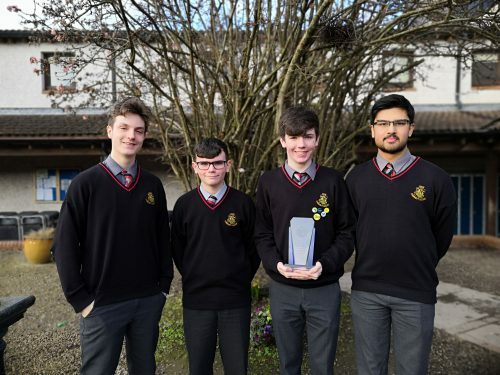 Congratulations to 6th year students Eric Neville and Abraham Odukoya who won the Kildare regional Applied Mathematics Competition after a nail-biting tie-breaker round. Eric and Abraham will now represent the school in the National Final in few weeks time. We wish them the best of luck. Congratulations to the winners of the Jan/Feb Maths Challenge. 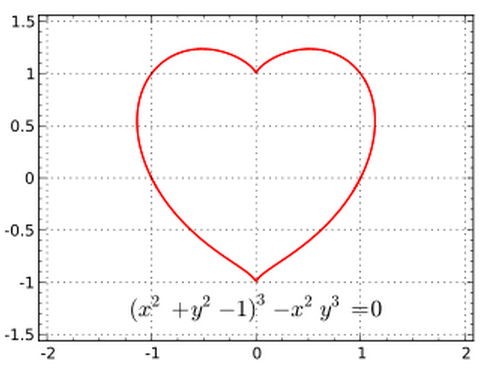 The latest challenge for March/April has now been added to the Maths Competition Page and you can see the solutions and the winners on the page also.